MDS Electric Automatic Barriers can span openings ranging from 9 metres (single leaf) up to 18 metres (double leaf) delivering high performance time after time in the most demanding of environments. 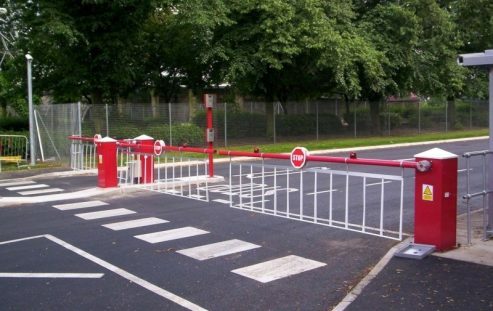 A wide range of finishes and integrated access control security solutions are available for our car park barriers. Installation service also available. 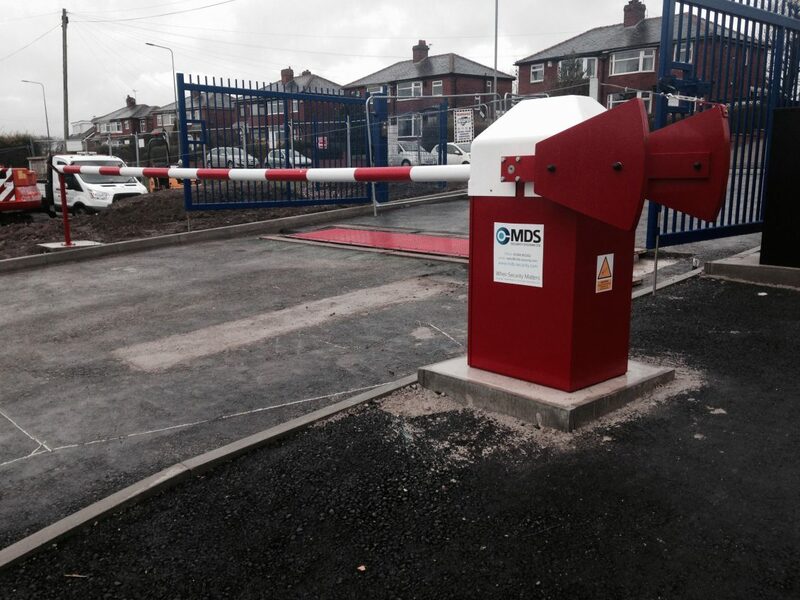 MDS automatic barriers are a popular choice as they are quick to install, simple to operate and very cost effective. 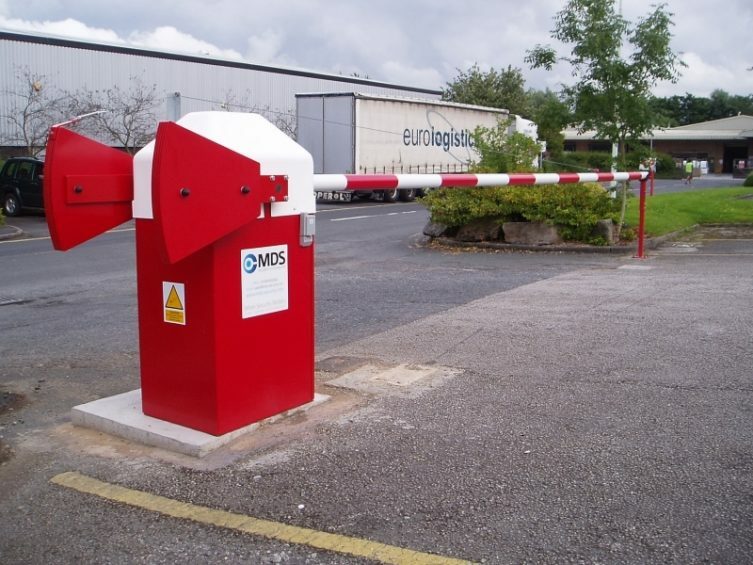 The best option to cope with extremes of traffic flow MDS car park barriers can provide reliable and convenient access control to your site. 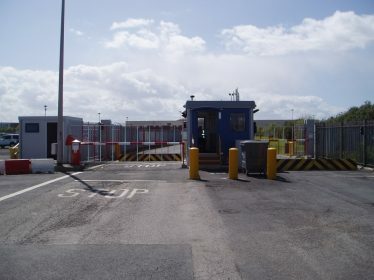 Car park barriers are often used in conjunction with sliding gates and airlock systems. A wide range of configuration options are available and traffic barriers can be made to your exact specifiations including corporate colours. Fitted with safety devices as standard to fully comply with European regulations – don’t accept anything less! MDS automatic arm barriers come in standard duty and heavy duty options for larger openings. Our car park barriers are galvanised or are finished in a protective coloured layer to ensure long lasting rust free operation. 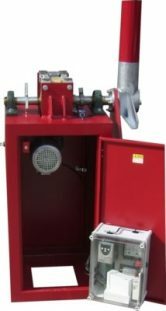 A heavy duty gearbox and 3 phase motor drive (no springs required) allows for smooth and reliable operation. 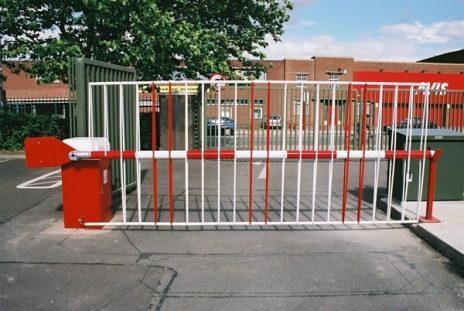 Folding pedestrian skirts can be fitted below and above the main barrier for complete access security. Articulated arms are available on our car park barriers for low ceilings in car parks and other sites. Take the hassle out of installation of our automatic arm barriers by opting for MDS professional installation services. 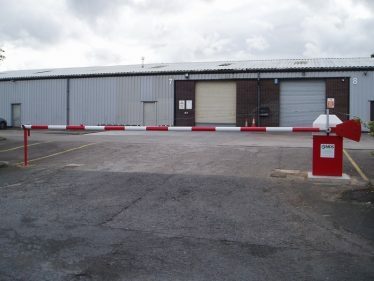 We can also carry out the ground works necessary to prepare the foundations for car park barriers. MDS offer supply only or full supply and installation services including installation and setup of intergrated access control equipment.